Revenue Conduit Setting: Set HubSpot 'Customer' Lifecycle Stage for those who do not have access to Marketing section. Revenue Conduit updates the customer lifecycle stage when a purchase is made inside our advanced order settings workflow. 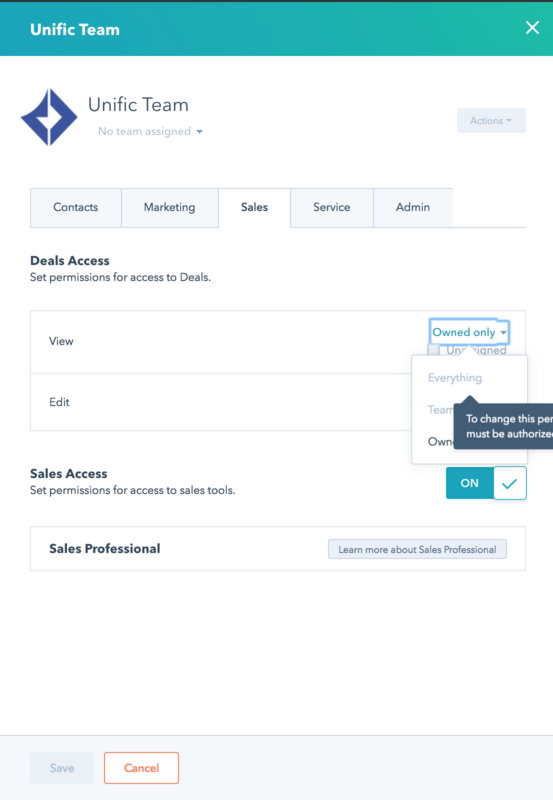 If you are using a trial/free version of Hubspot and you do not have access to workflows, then this setting is for you. Revenue Conduit has a checkbox that allows you to set a HubSpot's Lifecycle Stage to 'Customer'. In most cases, you will want to consider a contact as a Customer in HubSpot as soon as they've placed a successfully paid order. Check off this box - or make sure it's already checked - if you want your HubSpot contacts to be set as a "Customer" the next time that they place a successfully paid order. The text below the box reads, "By default, Revenue Conduit will not set the contact's Lifecycle Stage to Customer if they place a successfully paid order. If HubSpot Automatically Set Customer Stage is checked, Revenue Conduit will set the contact's Lifecycle Stage to Customer if they place a successfully paid order."